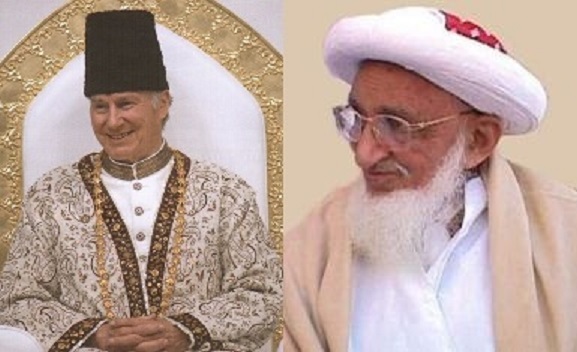 Who are Ismaili’s – Aga Khani & Bohra’s ? What is the Difference between them and the Main Stream Shia Asna Asheris ? JNN 30 May 2015 Karachi : The Story of Ismailis and Bohras Start from the family of Our 6th Imam Jafar Sadiq a.s , as the eldest Son of Imam was Hazrat Ismail and his Younger Brother was Hazrat Musa Kazim a.s .
As Hazrat Ismail was the eldest Son of Imam Jafar Sadiq as. , so a Group of People have Perceived themselves that after Imam Jafar Sadiq , Hazrat Ismail will be Nominated as the Imam of that time , as per their Presumption , but Hazrat Ismail died in the Life of Imam Jafar Sadiq a.s , as Imam Sadiq was very much aware of the presumption of the some People , so he made it a Point and arranged Hazrat Ismail’s funeral and Burial in Public , so Nobody can deny and create doubt about his death , which can create confusion in future . It should also be noted that Imamaat in Contrast with the Khilaafat , is a Granted By God to His chosen Ones , and not a Democratically elected seat , as in case of Khilaafat , in which Men choose their Leader , with whom they feel comfortable and worthy of his stature . After the Martyrdom of Imam Jafar Sadiq a.s , and as Per his given will , Shia Majority accepted Imam Musa Kazim a.s , as their Imam , but a Group of Shia People who was of the concept that as Hazrat Ismail was the eldest Son of Imam Jafar Sadiq , so the Leadership ( Imamat ) should continue in his family , So these People were later on called as Ismaili , while some People accepted Abdullah Iftah , one of Imam Jafar Sadiq’s Son as their Imam ( Leader ) , and thus they were called as Fathi . The group of People who has Chosen Hazrat Ismaili as their Imam ( Leader ) after the death of Imam Jafar Sadiq a.s , in the same Pedigree their came a Man named Mehdi , who was also chosen as the Caliph of Egypt , where He founded the Fatmi Caliphate . Fatmi Caliphs Ruled Egypt with Pride and Honour , and the Caliphs of the same Pedigree founded Institutions like Jamia Al Azhar , and Cairo was also built in the same era. These Caliph were Practising Shia Muslims , but they were not Asna Asheri ( Faithful to Chain of 12 Imams ) . But Unfortunately There arose a Dispute between the Ruling family in the Nomination of the Caliph , among two brothers , namely Mustaali and Nizar , while Mustaali succeeded in getting the Caliphate , But this divided the followers of Ismaili Community in two segments , One accepted the decision and recognized Mustaali as their Caliph ,who were later called as Mustallia , who are Presently known as Bohra , while the Other Group which accepted Nizar as their Leader were larter called as Nizari , who are Presently Known as Aga Khani. As the Caliphate was awarded to Mustaali , so the Later Nizar and his followers , Ran from the Country and took refuge in the Land of Faras , which is at Present known as Iran . The Group choose City of Qazveen as their Homeland and Ruled the area for Years with Pride and Prestige . But later in the era of Hassan bin Sabbah , their Collaboration in the Movement of Fidayeen ( Assassins of Suicidal Missions ) got great success , thus resulting in giving them Notoriety in terms of terror across Iran . Aga Khanis Lived a Long Period in the Land of Iran , As their Leader even was awarded the title of “ Aga Khan “ also by the Irani Ruler of Qajaar family . The King of Iran had also awarded a Big Estate Near Kirman with the title of “ Mahalaat ” , where Aga Khan ruled with total Independence , and it is due to this fact that This Leader of them was even Known by the Name of “ Aga Khan Mahalaati ” . But at the time of British Movement Aga Khan I declared rebellion against the Qajaari Kingdom , but as they were defeated , so they have to Run for their Lives and took refuge in Hindustan , they first Made their Home in Sindh , from where they shifted to Bombay . The British even awarded them the Title of “ Sir ” and gave them a lot of Respect and Honour . He also died in Hindustan , after whom his Son Succeeded his Leadership and became the Imam of the Aga Khan Community , who was also an active member in the Pakistan Movement , before the Partition of Hindustan . After the Death of Saddrudin Aga Khan , who had already Nominated His Grandson Prince Karim Aga Khan , in the Presence of his Son , as his Successor , whose Mother was a European Lady , and his upbringing was also done in Western Culture . And this is the reason that the Nucleus of Leadership of Ismailis from Mahalaat , Kirman and Later came to Bombay , Hindustan , and now has been transferred to West . On the Other hand the Caliphate of Bohris lived for a Long time in Egypt , but during the Period of Crusades , The consecutive attacks of Salahudding Ayubbi led to the fall of Shia Ismaili Empire , better known as Fatmeed Empire ended up . As the Bohri Leadership ended up in Egypt , they Made their center as Hindustan and Yemen , While they were Practising Shia Muslims and Performed their Prayers 5 times a day with regularity . Their Leadership Imamate has also ended up with the end of Fatimi Caliphate , while at the same time started a series of Dai ( One who gives Invitation to Islam ) have started . The Latest Known for the Last century was Burhanuddin , who was a very Learned fellow , and have Died in the recent Past in his Home town of Bombay. Later Bohris were also divided into two Groups , Namely : 1) Dawoodi Bohra: 2 ) Sulemani Bohra , while their difference is Basically regional . The DAI (Head Preacher) of the Dawoodi Bohra Lives in India , and Surat , Gujrat as their Head Quarter , while the Dai of Sulemani Bohra is in Yemen , and the Number is in Hundred of thousands , and a Big Population lives in the south of India . while there is a small Number of Dawoodi Bohras also in Pakistan . The Dawoodi Bohra are easily recognized due to their attire , as the Men are usually in a Precise Dress Code , while their Women also have their Precise Dress Code . The Sulemani Bohra are not easily differentiated as they don’t have any Particular Dress Code. As long as the Bohris are considered they are Pious Community , as long as they don’t abuse any of Our Twelve Imams , as it is said to be that they use to abuse Imam Musa Kazim a.s , for a Long Period of time , as they were of the Believe that He Usurped the Right of Hazrat Ismail , as he was the Legal Heir of Imam Jafar Sadiq, But Later On they Have forbidden this Practice , and it is due to this reason , that during the Reign of Ayatullah Abul Hassan Isphani , they were given Permission for the Pilgrimage of Najaf and Karbala , Bohris also contributed a Heavy amount in the construction of the Shrine of Najaf and Karbala , and also Donated a lot of Gold and Silver used in the Holy Shrines . At Present a Large Number of Bohris goes for the Holy Pilgrimage to Najaf & Karbala , and now the Doors of all the Shia Holy Places are Open for them. On the Other Hand Ismailis are very liberal in the Religious Believes as described earlier that they believe more on Spritual Cleanliness then the Materialistic , They do offer Prayers , but their method of Praying is different from Us . The Most Distinguished thing about their faith , is their believe of Halool , which is described As the All Mighty Allah is the Purest form of Light , and the creation of Hazrat Ali is from the Same source of Light , and Ultimately the same Light of Ali has been converged in the Breed of Ismaili Imams , giving them the same Purity and Powers . As they are of the believe that Prince Karim Aga Khan is the Imam Ali of this time , which can also be verified , when they greet each other with Greetings as “ Ya Ali Madad ” , with which they meant that they call there Present Imam ( Leader ) Prince Karim Aga Khan for Help . In Addition to this their Believe of Spritualism , and Non Materialistic , they are even of the Believe that even on the Dooms Day the Spirits will be called off , and even their wont be any Punishment or rewards for the Men and Women in their Bodily Materialistic forms , rather it will be also Spiritual , as the Heaven and Hell are even Non Materialistic . This entry was posted in Jafria and tagged Aga Khan, Bohra, Egypt, Fatmid Empire, Hazrat Ismail, Hazrat Musa Kazim, Hindustan, Imam Jafar Sadiq, Imam Jafar Sadiq a.s, Imam Musa Kazim, Imam Sadiq, Ismaili, Jama Al Azhar, prince karim aga khan, shia. Bookmark the permalink.